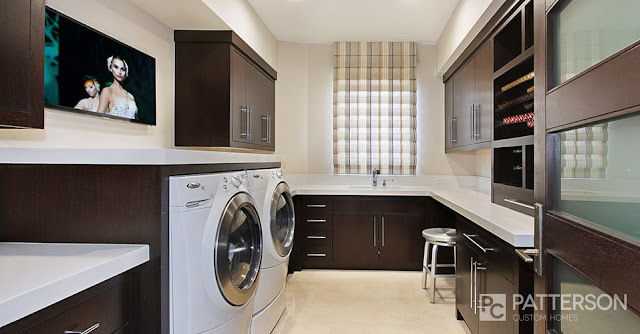 When was the last time you smiled when you walked into your laundry room/area? 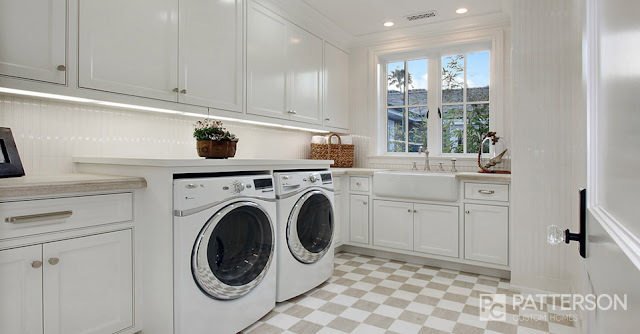 The laundry room is often the most neglected area of the home and tends to be a dumping ground for clutter. 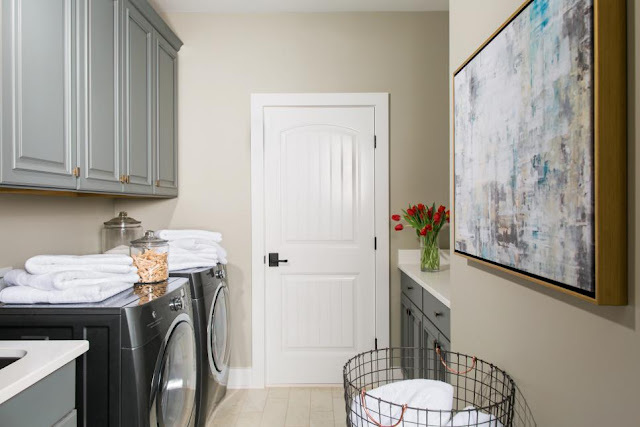 If your laundry room lacks character and is in desperate need of de-cluttering, get inspired by these ideas to add swag to your laundry room. 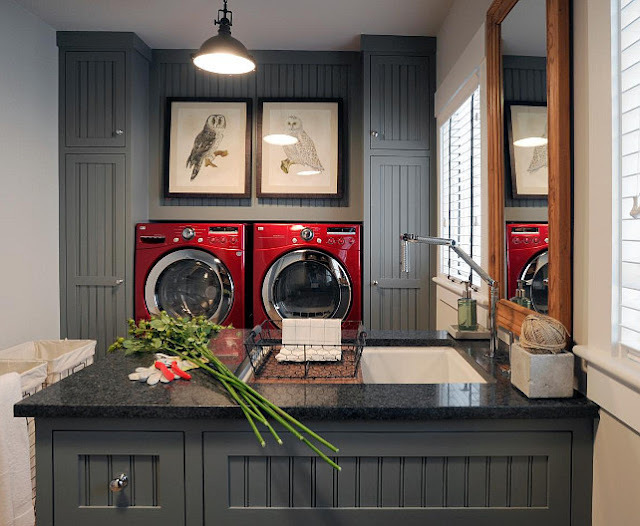 When it comes to design, the laundry room is a great area of the home to be bold and show your personality. 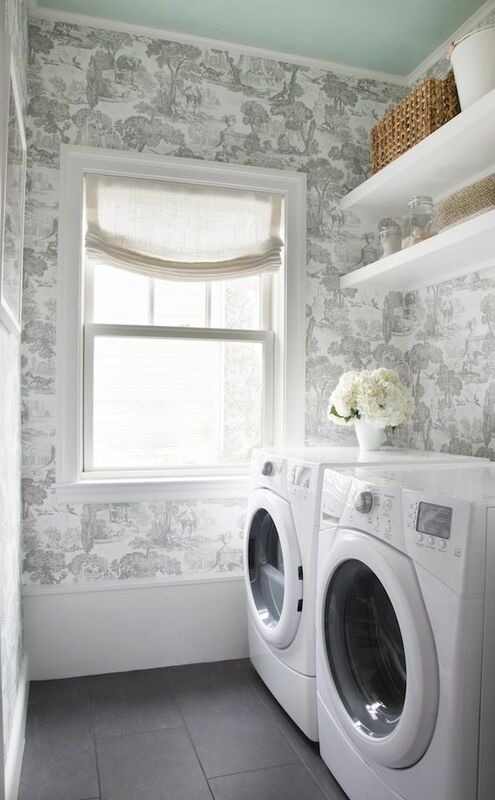 Add a little swag with a unique door or fun wallpaper. 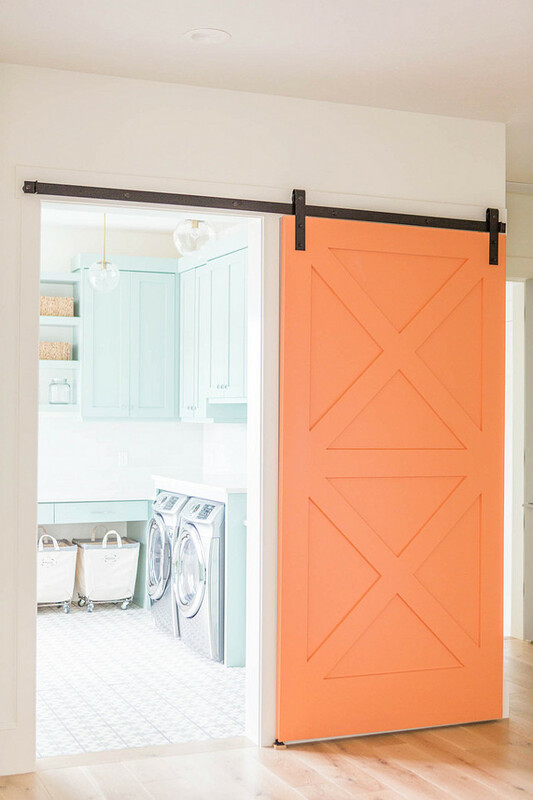 This orange barn style door hung with barn door hardware adds character and brightens the area. 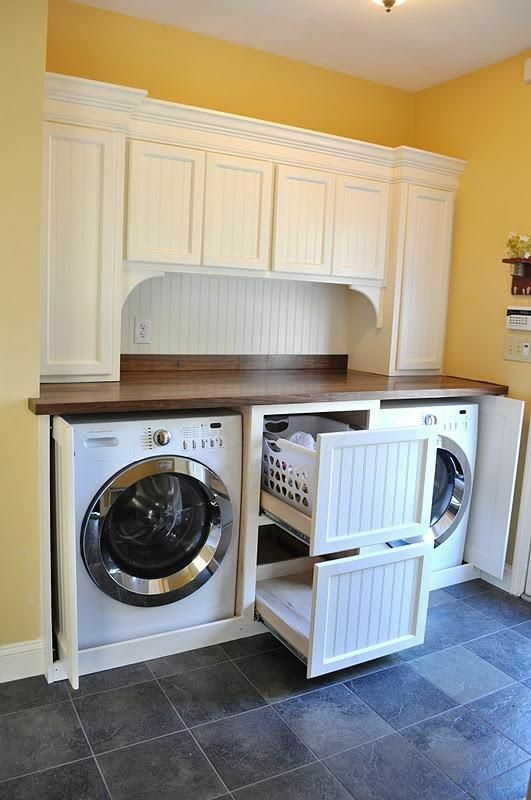 This is sure to make you smile! 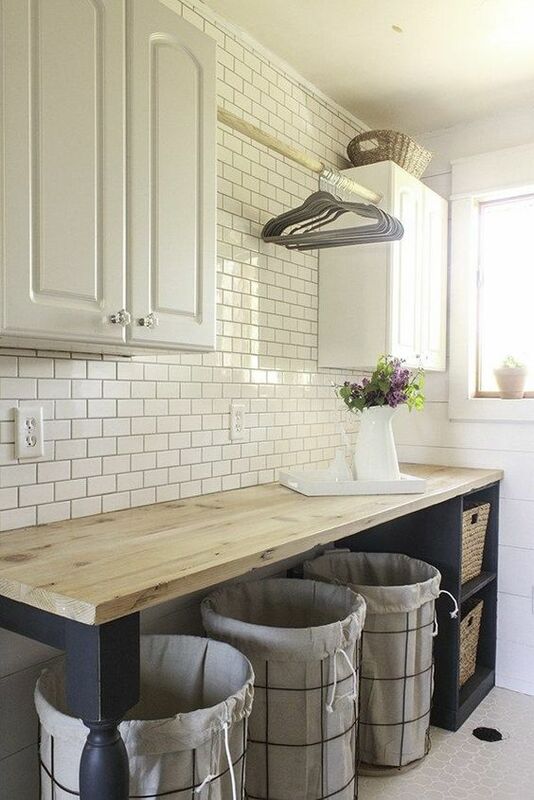 For a simple upgrade that makes a big impact, trade out your old plastic laundry baskets for bins with character. 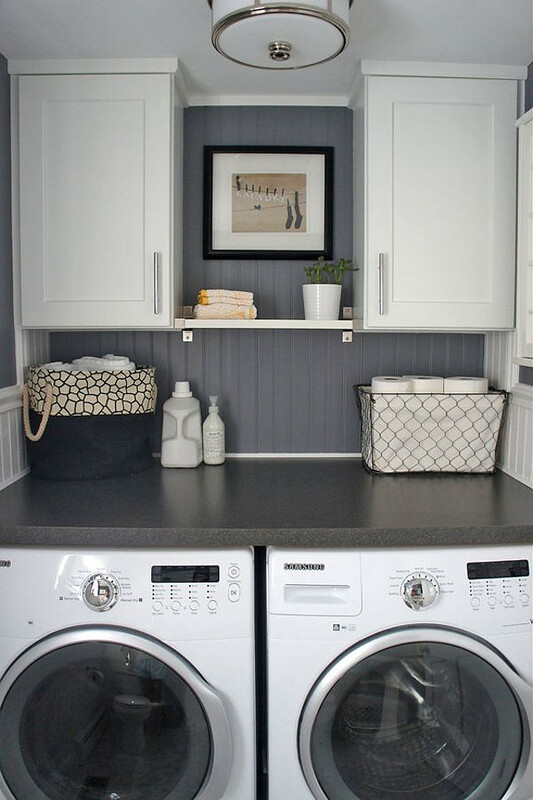 These Steel Canvas Laundry Bins significantly adds to the overall look of this laundry room. 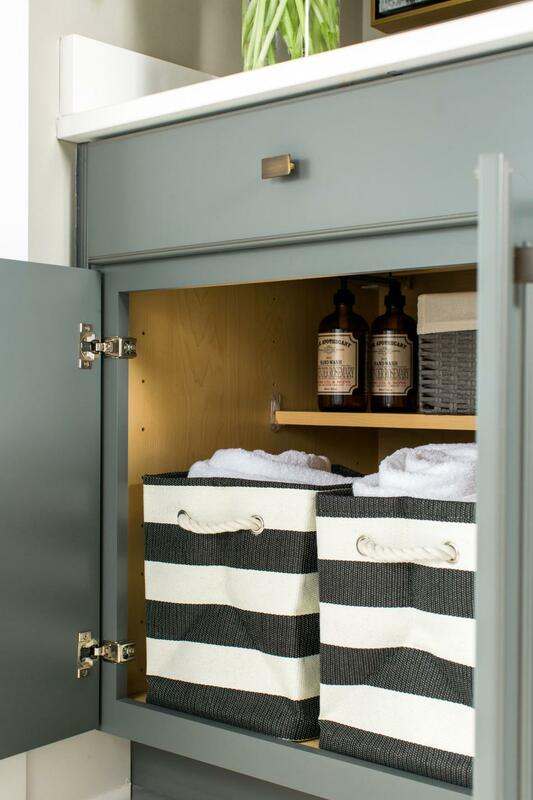 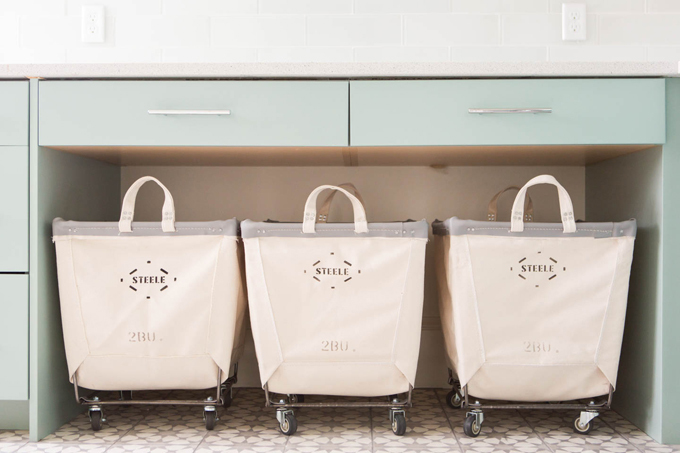 Get your own Steel Canvas Laundry Bins from Crate & Barrel or West Elm. 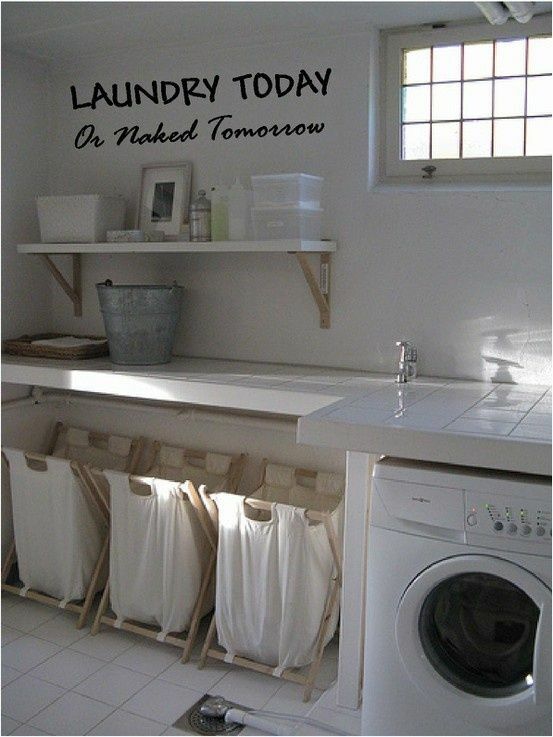 These are nice laundry bins, and it's a great idea to encourage everyone to sort their own clothing. 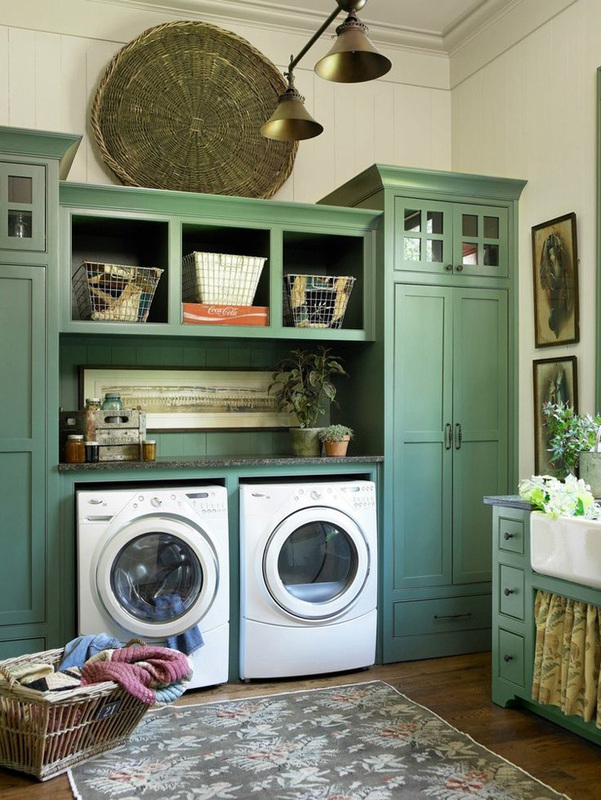 This hard functioning room doesn't have to be boring. 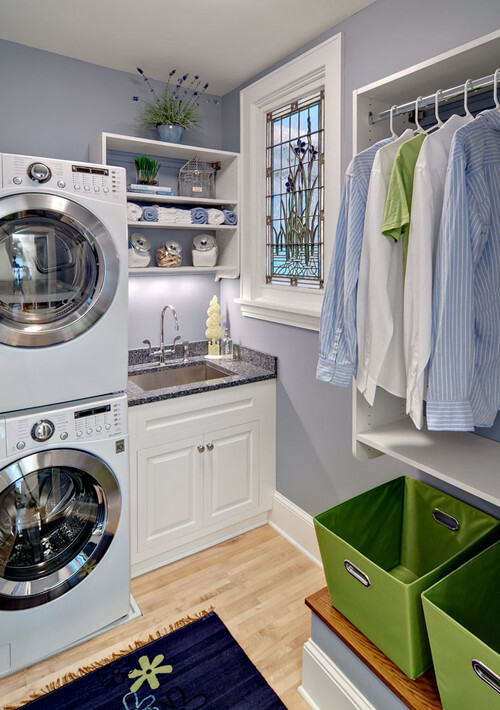 A lot of time is spent doing laundry duties so add a little swag with color. 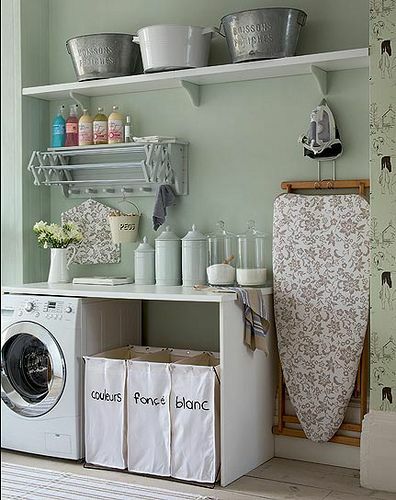 I also love the look of these vintage cement tiles. They can be costly, but when used in a smaller area such as a laundry room, it may be an option. 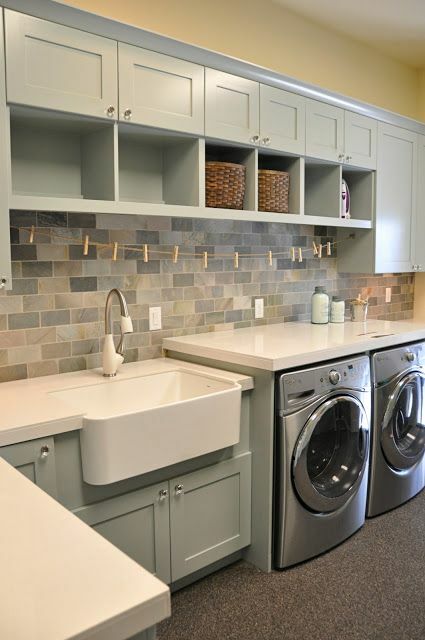 Laundry duties feel like less of a chore in an organized, fresh and clean work area. 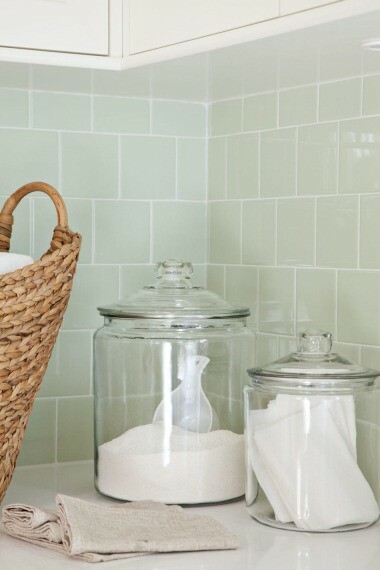 Store detergents and other laundry supplies in containers that are pleasing to the eye, rather than the manufactured packaging. 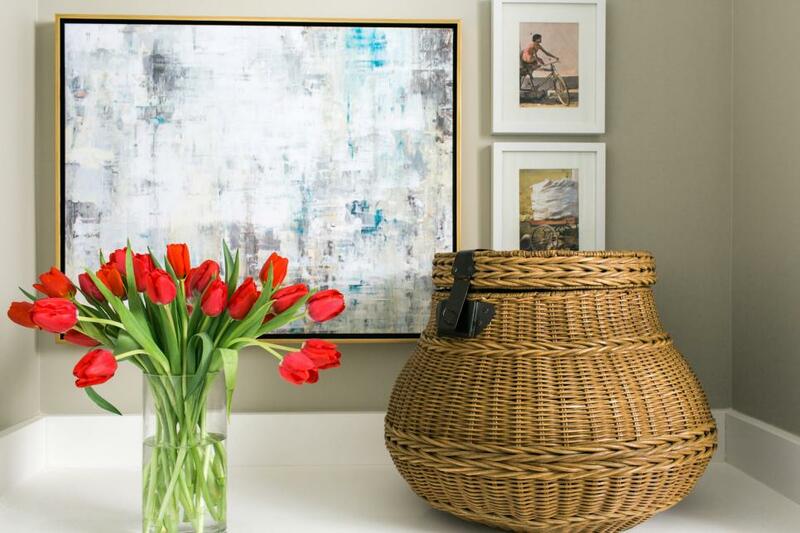 Accessories soften the look of this hard-working area and add to the overall style. 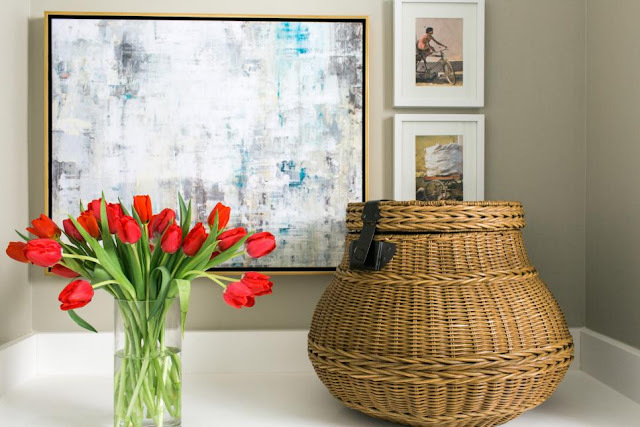 A beautiful stained art glass window filters natural light and transforms an otherwise mundane room into a room showcasing a beautiful piece of art. 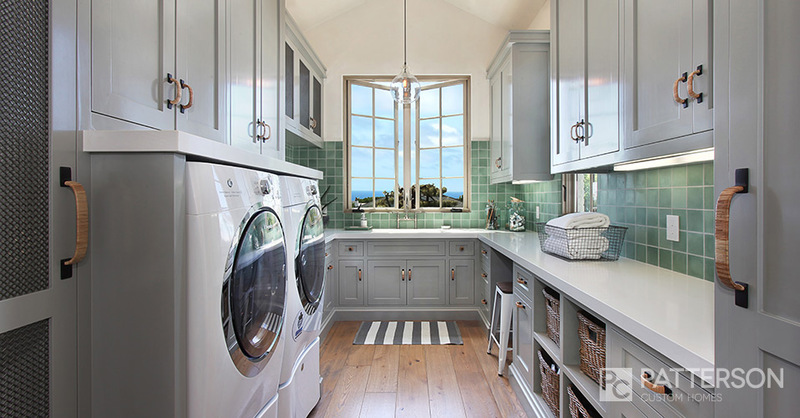 A bright laundry room is always better. 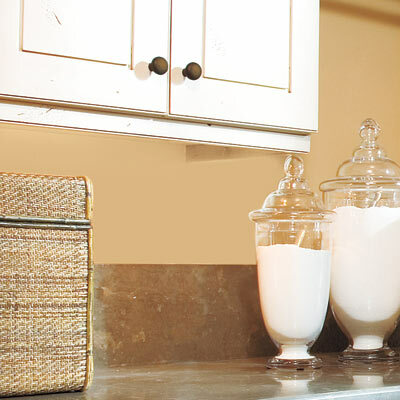 Task lighting, such as under-cabinet strips, illuminates specific work zones. Ambient sources, like natural light or a ceiling fixture, brighten the room. 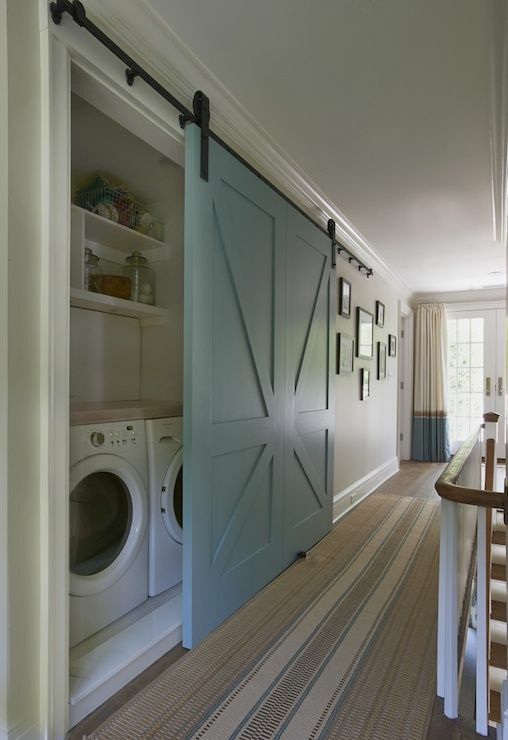 Natural daylight pours in from these sun tunnels which is nice for an interior room. 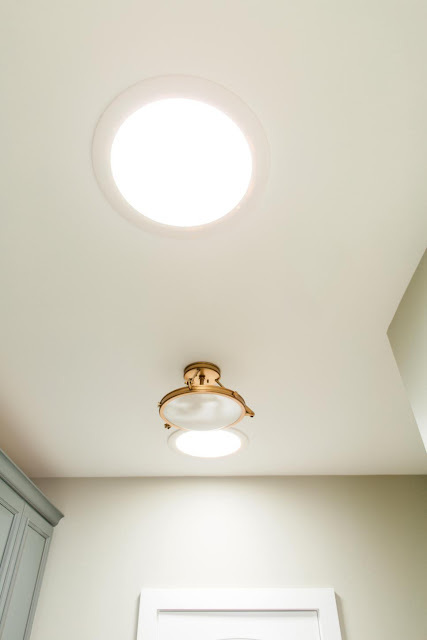 I have a sun tunnel in an interior restroom of my home and we enjoy the difference the bright daylight makes in the area. Beautiful cabinetry in this French County laundry room. 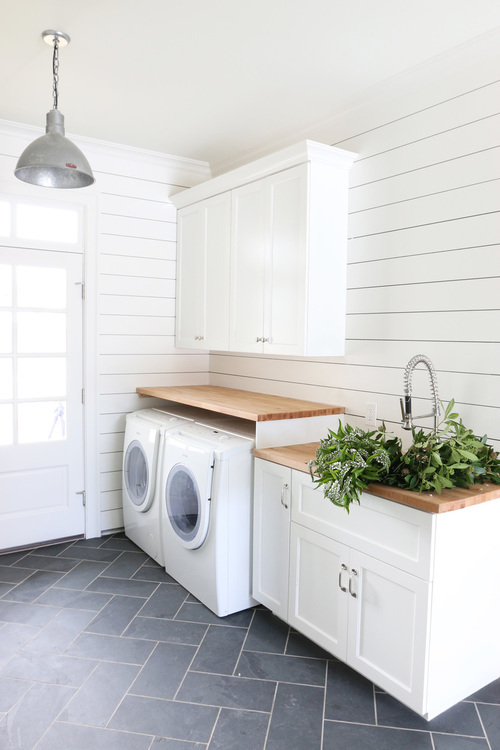 Source Distressed cabinets and reclaimed wood walls turn a small laundry area into an efficient work area. 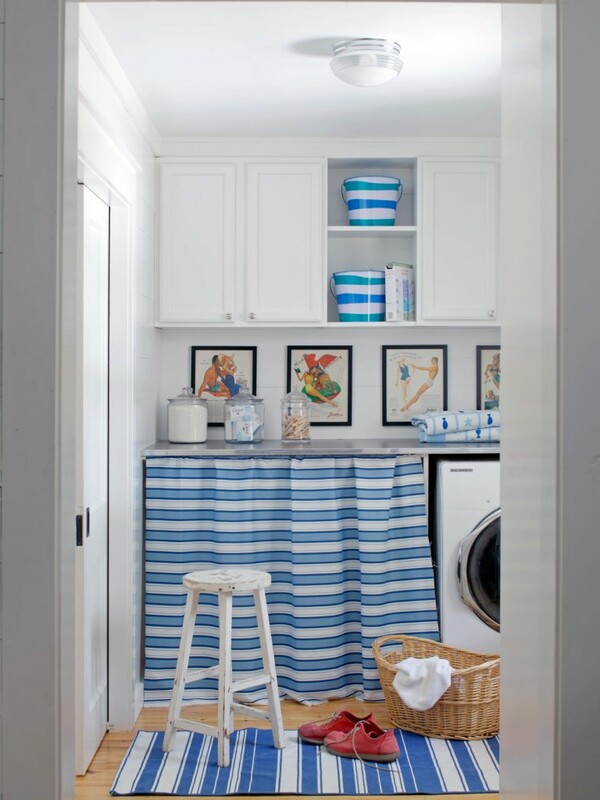 Simple striped fabric hides storage and adds style to this small laundry area. 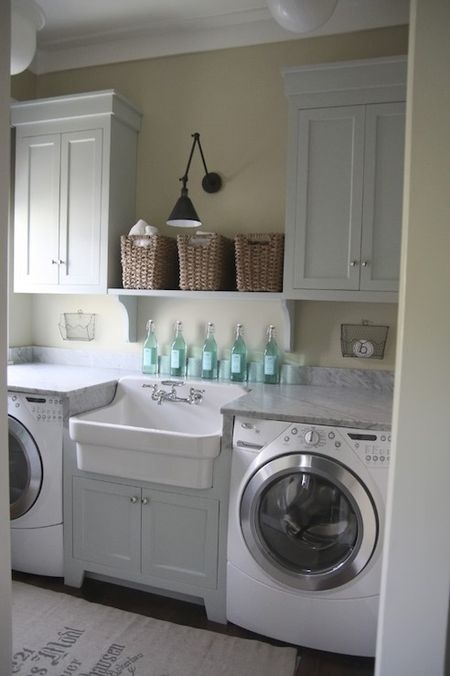 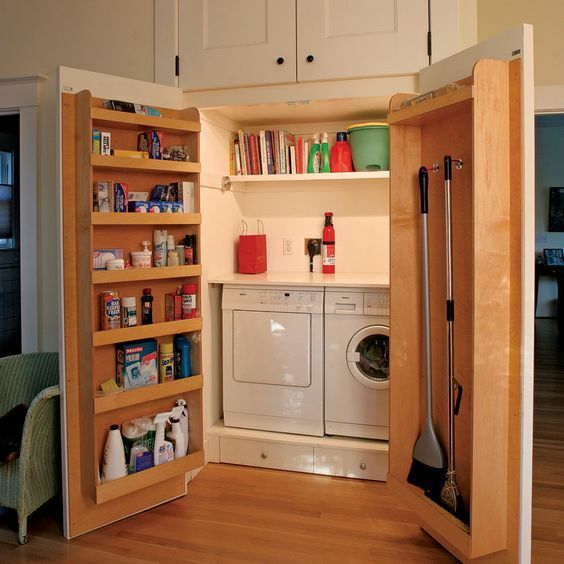 Via Pinterest I love the storage space in these two laundry rooms. 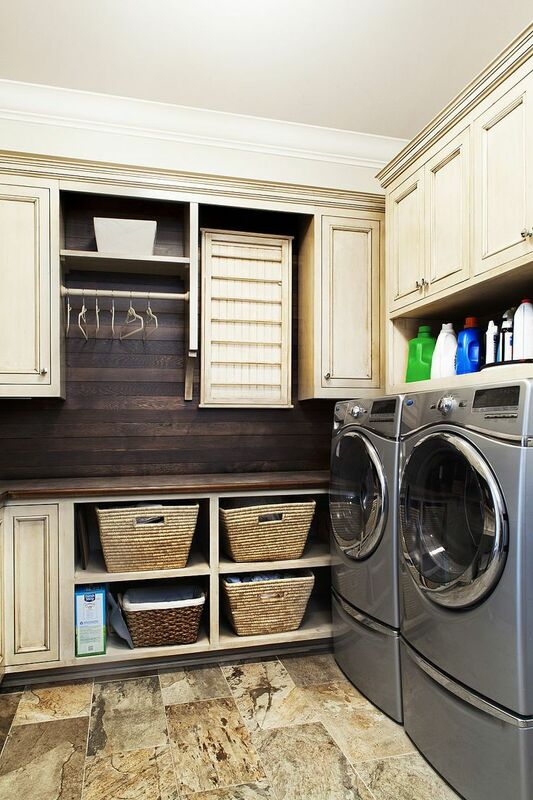 Storage is an important element to consider for your laundry room. 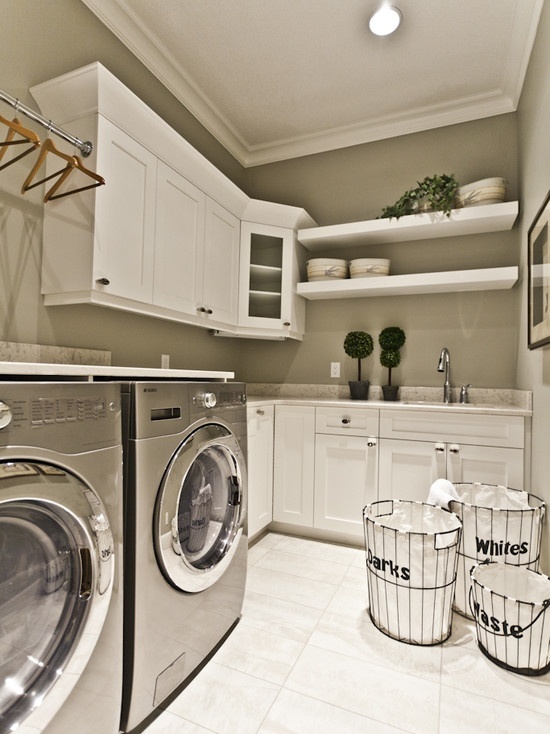 Does your laundry room make you smile? 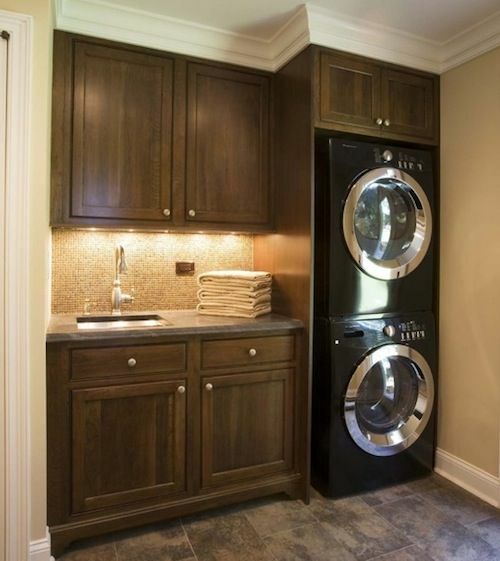 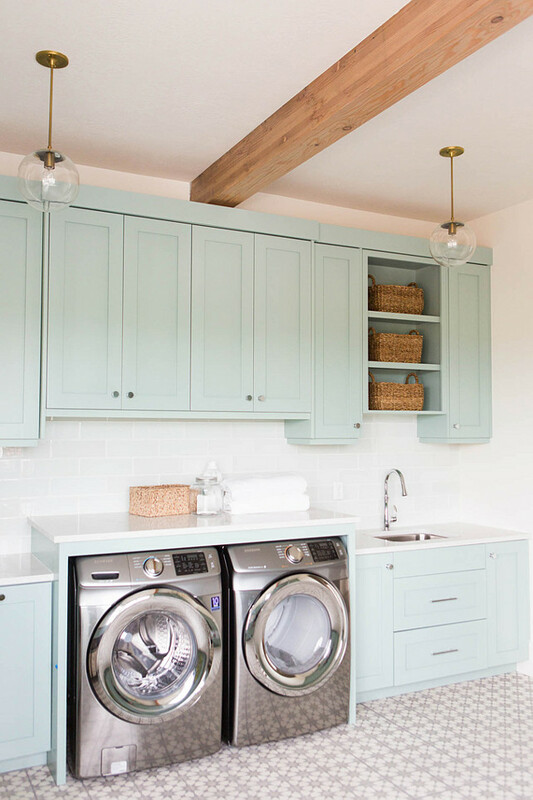 What do you think are the more important elements to have in your dream laundry room?